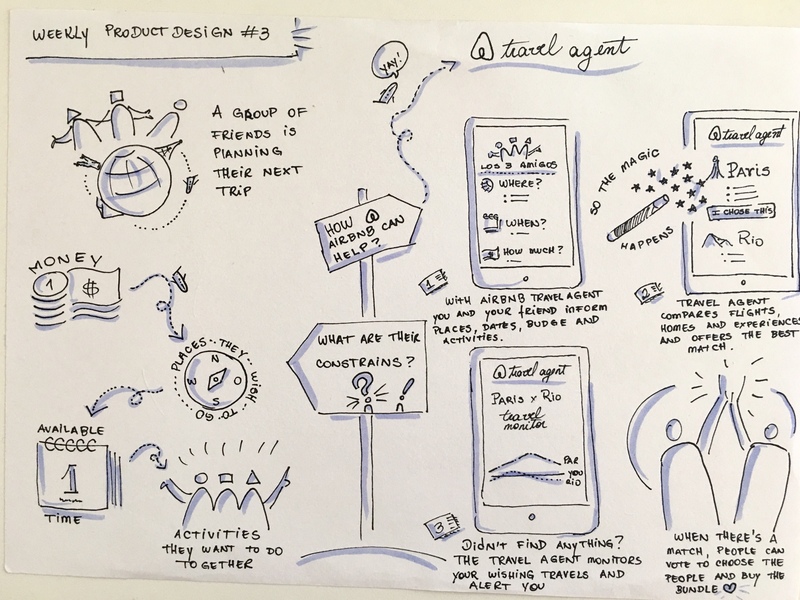 This week’s exercise was about thinking a feature that allows a group of friends to plan a trip together. The idea here is offering a travel agent service, where people inform theirs constraints like places, budget, and date. With this information, the travel agent will look for the best match and bring the offers. Also, the system monitors the prices and inform when a match offer is available. 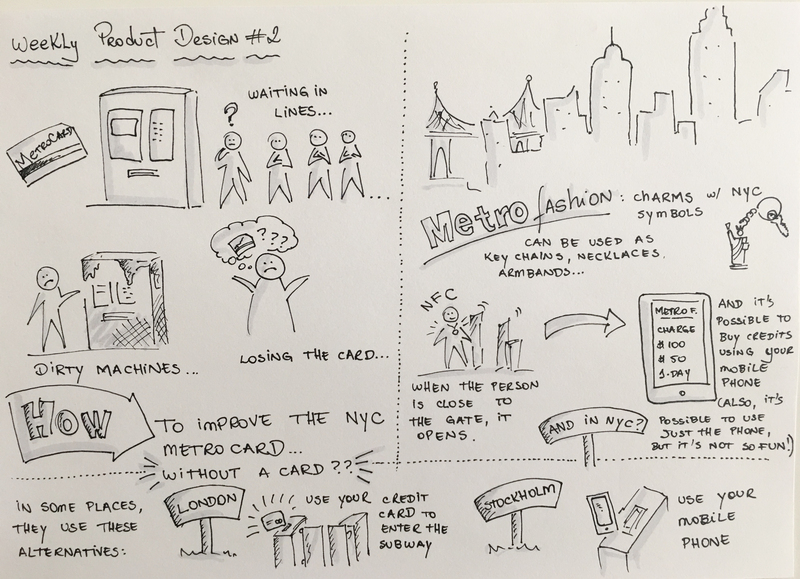 Artion Dashinsky, author of “Solving Product Design Exercises”, sends every week a product design… exercise :) I’m using his challenges to practice doodling and brainstorming about some products and services. 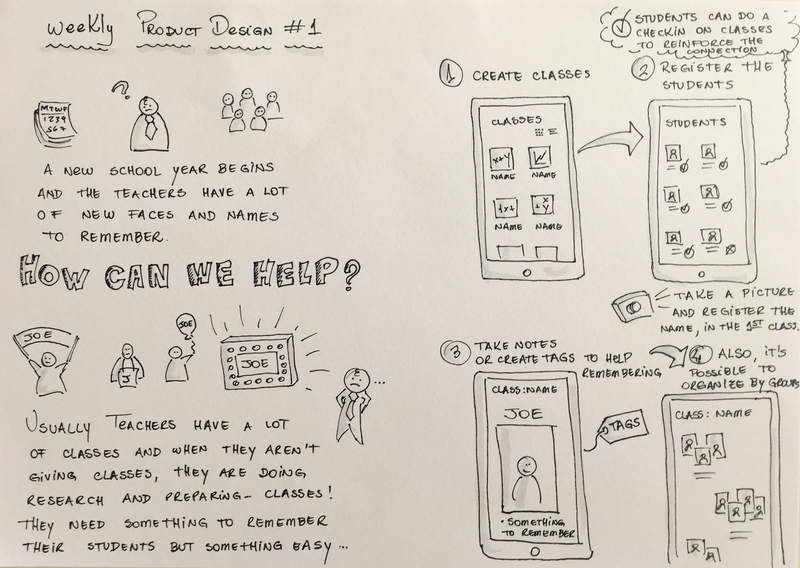 The first challenge was to create a service that helps teachers to remember the students’ names. UOL Host is one of the largest web hosting companies in Brazil. They offer a complete portfolio for online business like e-mail marketing, domains, database, website builder, and so on. We needed to build a clear communication that could be understandable for non-technical people, the ones that would like to have just a domain and a site, and also for the very technical public, who want to subscribe cloud services, database and be a web hosting reseller. Designing an easy-to-use control panel, where clients could manage their own services without needing support. Build an effective website for UOL Host, that inform and sell the products and services, for different kinds of users. Develop a control panel that put together all the services, and also build each service panel, accordingly to different users’ profiles. We were continuously improving the UOL Host website and control panel through a constant process of user research. Among our methods and tools, we used A/B tests to identify the best options since navigation and menu until the information architecture of the pages, not only measuring immediate sells but also following the users’ lifecycle after subscribing to one of the products. User interviewing: to understand problems, difficulties, and to get to know more about routine and daily actions. 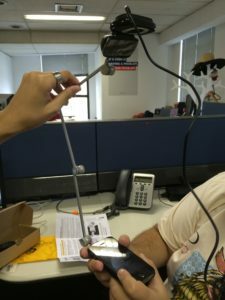 Usability tests: to capture usability problems. I spent about four years working with UOL Host. When we started, the company had an outdated website with a non-congruent communication. Also, the control panel had a confusing navigation and a technical language, not accessible for all the users. During the worked years, we could improve the communication through a continuous experience of user research and A/B tests. Planning and doing user research. Designing prototypes. Working with marketing team to plan and execute A/B tests. Conciliate all the goals and the different stakeholders’ visions. 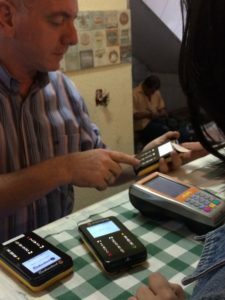 Communicate all the payment solutions with different kinds of sellers like the ones that sell through online stores and the ones that use POS machines. 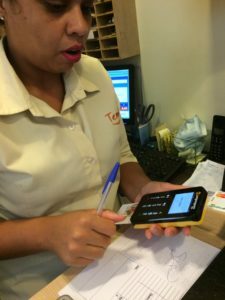 Explaining and selling the different models of POS machines. Communicate with buyers that find PagSeguro and would like to understand more about the provided services. Our first step was composed by two task forces: one was to interviews all the major stakeholders as the C-level and some important collaborators, to understand what are the main business goals, the future vision, and the grown perspective. The other task was interviewing our different kinds of users, to comprehend how they saw the services, what kind of questions they usually had and if and how the website was useful. After understanding how the company is viewed by the inside and outside, we started to plan a new structure. 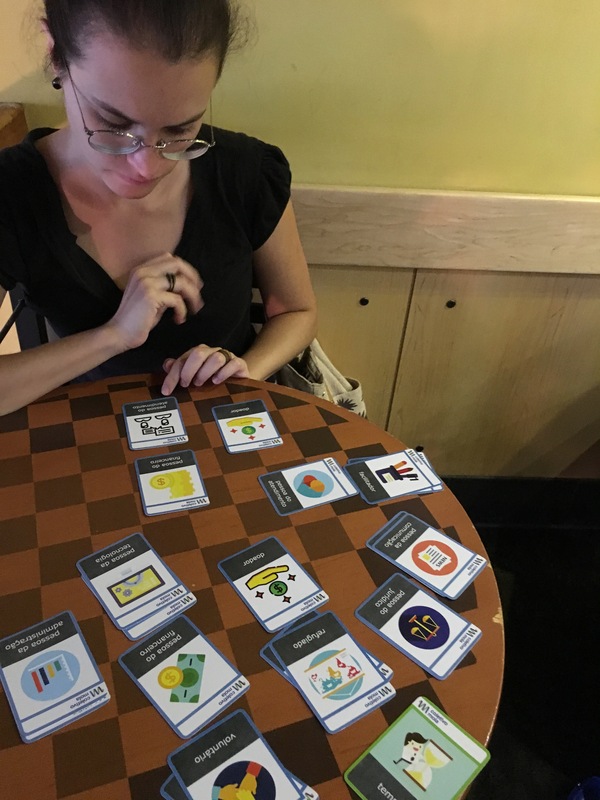 We made some card sorting sessions, with employees and customers, to define a new hierarchy and better labels. Our next step was an iterative stage where we prototyped a new website and did rounds of users’ interviews to refine the prototype until we observe that we hadn’t any more big problems. So, it was time to start the visual work. Our graphic design team made some options and again, we looked forward to validating internally and with outside clients. New usability tests were made, this time with a high-fidelity prototype. Changing all the website was a big effort to the company decided to do it in installments. We designed a plan B, where we could make some gradual changes. Team lead – helping the team planning the different kinds of research and orienting the prototyping process. Negotiating with stakeholders to achieve the best solutions for business and users. The PagSeguro Internet Banking is the client panel where the users can see all their historic, both as selling and buying. Other features as complains and refund money, prepaid cards management, easy shipping service, subscription invoices, etc. Because it combines all these resources and features, it was complex to use. The biggest challenge was how we could improve the experience without refactoring everything. We knew the panel had a lot of usability problems but we hadn’t much development time to dedicate to it. Our continuous goal was to find better solutions that cost the smallest amount of time to develop. 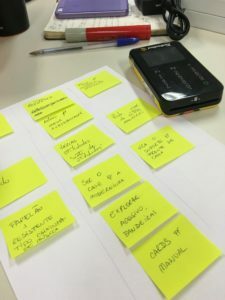 The main tool for the improvements were the frequent usability tests where we could map the problems and test the solutions before implementation. As we didn’t have a dedicated development team to work on the findings, we needed to focus on the quick and best cost-effective solutions. A collection of punctual improvements as a better navigation menu, a new panel’s homepage with clear directions for different uses, new sells & purchases historic list, refunds features, and so on. All of these helped to have fewer calls to customer service support. Adus is a non-government organization whose goal is to help refugees that come to Brazil. They offer different services to immigrants like legal advice, documentation, Portuguese classes, community events, job search, and so on. Their website is a reference point where people could find and understand how the services are offered, how to collaborate with the organization, and other pieces of information like the organization’s history and who are the collaborators. The organization had the best intentions of helping and offering information to their different users but fail in delivering it in a clear way. Labels that reflect the internal organization and a structure that was familiar only to collaborators were barriers to the outside users. We started the process with an initial workshop with some key collaborators. Our goal was to understand the characteristics of the organization, the main problems and prioritize them. With these results, we designed a service mapping dynamic using cards. 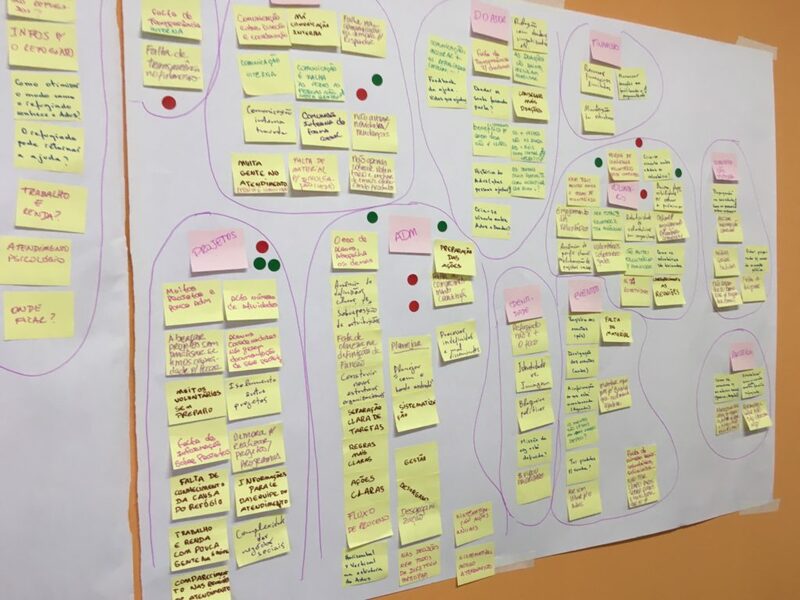 Each card in this dynamic represented one area inside the NGO and we used these materials to understand the service flows and the pain points. We interviewed around 20 people, from different areas, collaborators, donators, teachers, and refugees. After mapping the main service flows and pain points, we had the opportunity to make a design workshop with some collaborators to think about some alternatives and solutions for the problems found. Our final task was to propose a new architecture for the website that could have a better performance on the problematic points. Adus implemented a new website with some of our suggestions. Planning the mapping and creative process. Facilitating the dynamics. Prototyping the new website. Sara Health Assistant was the first project of Round Pegs and Dasa, a company that joins Brazilian 25 brands of medical labs. 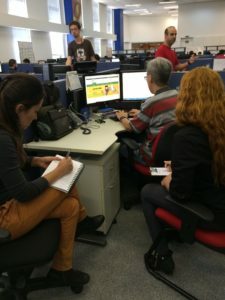 When you need to schedule some medical exams in Brazil, usually you call a lab and need to tell all the information to an attendant. It’s not an easy task, as the exams have some complicated names, different procedures, and above all, the patient wants to schedule all of them in the same day, in closer hours. And at the end of this process, the patient needs the health insurance’s answer, if the exams are all approved. It’s a stressful process and it’s quite common to have problems and mistakes. Designing an app where patients could schedule their exams, send their information and choose the best days and hours. 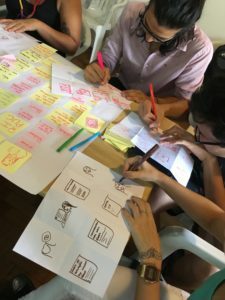 The process started with a design sprint, where the pain points were mapped and solutions were prototyped and tested. In the following steps, we made developed a complete prototype and did deeper research in medical labs, interviewing patients and lab professionals. With the collected data, we improved the interface and resources. The app was developed with a remote team, with developers from 4 different countries. The app is in the app stores. UOL Host is one of the largest web hosting companies in Brazil. In 2014 they decided to launch their cloud services. The challenge was to understand exactly who was our potential users, their needs, desired resources, and features. Designing a proper cloud service for our main users, planning both interface and resources. We started with some research in the existing services and did some prototypes to test our options. In our first tests, we discovered that not all developers had the same needs and the same levels of technological knowledge. The regular developer interested in our services needed fewer features and easy-to-use resources. As we worked in a tech company, we imagined that all the developers had the same needs as the programmers that used to work for the company, and that they also used services in the same way. We discovered, during the process, that it wasn’t exactly like that. We discovered that are some big differences like the super-geek developers and the more basic ones, clients that would like to use the cloud but aren’t really developers. 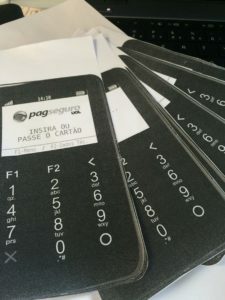 PagSeguro is a well-known Brazilian solution for payments. Similar to PayPal, the company started more than 10 years ago as a payment gateway easy-to-use for small online stores. 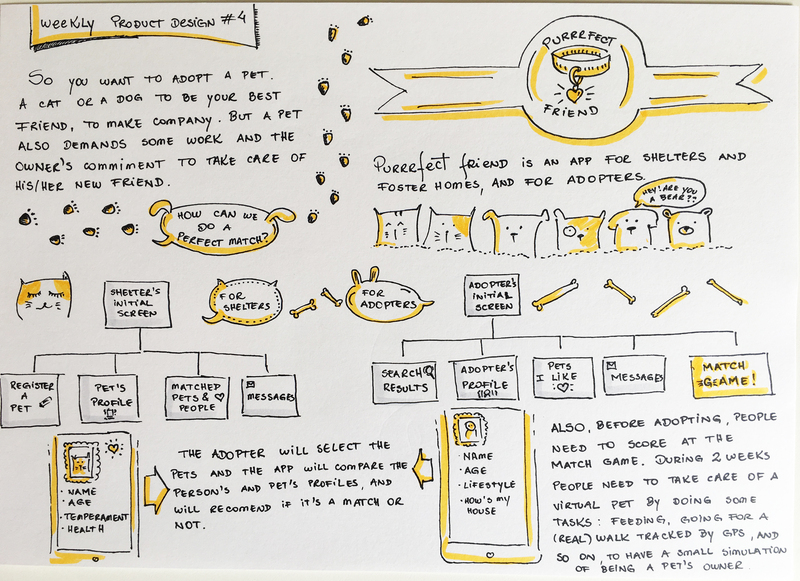 the personas’ map, where we researched and created the main buyers’ and sellers’ personas. In the last five years, the company has started to develop different kinds of POS machines for small sellers. It was our first time planning and designing a product to a platform different than computers or mobile phones. When the project started, we weren’t very sure about our limitations. Create an easy experience for a target public that wasn’t very familiar with technology. In practical ways, it means that we were supposed to design a self-explained interface for the POS, with a type characters limitation. 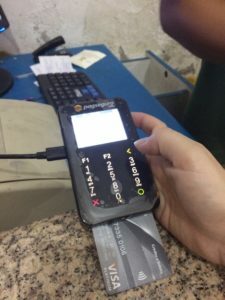 It’s important to highlight that almost half of the Brazilian population doesn’t have a bank account or don’t use banks anyhow and the used communication that banks practices are not clear tor this public. Our first step was an interview series to know the small sellers, the ones that didn’t use POS machines and the ones that use POS machines, to understand the problems and challenges they used to face at the moment, not only about the machines but also how they usually run the business. In the next step, we started to design some interfaces and did user testings. 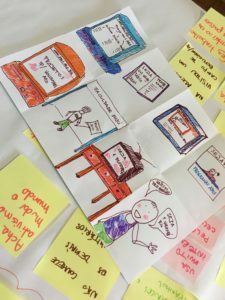 We started with some paper prototyping because it wasn’t a simple process to install a new interface in the machines and also because it was an unusual test and we wanted people to be comfortable to give us their feedback. After that, we made same prototypes with Axure and did the same process of testing. With these test interviews, we could refine and improve the communication of the interface. Also, discovered some product problems that were communicated to other teams, as the lack of accessibility for blind people. When the machines were ready we could do some more tests with the sellers, this time considering other aspects as Internet connection and communication speed. The company has been developing different kinds of machines to give the best solutions for all kinds of small sellers. 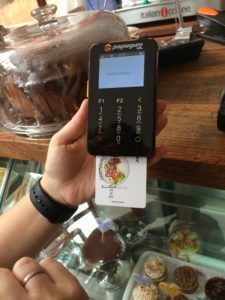 The PagSeguro POS machines are one of the most sold machines in the Brazilian market and were pioneers in giving these solutions for small businesses. We learned a lot about developing a product that was not related to the usual platforms like computers or mobile phones. Team lead – helping the team planning the different kinds of research and orienting the prototyping.